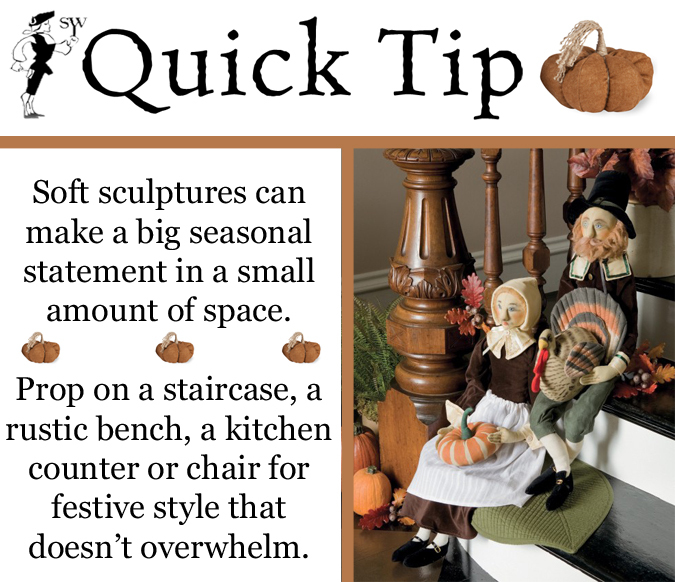 Soft sculptures can make a big seasonal statement in a small amount of space. 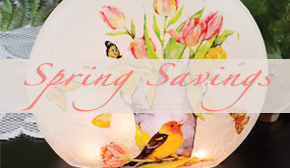 Prop on a staircase, a rustic bench, a kitchen counter or chair for festive style that doesn’t overwhelm. 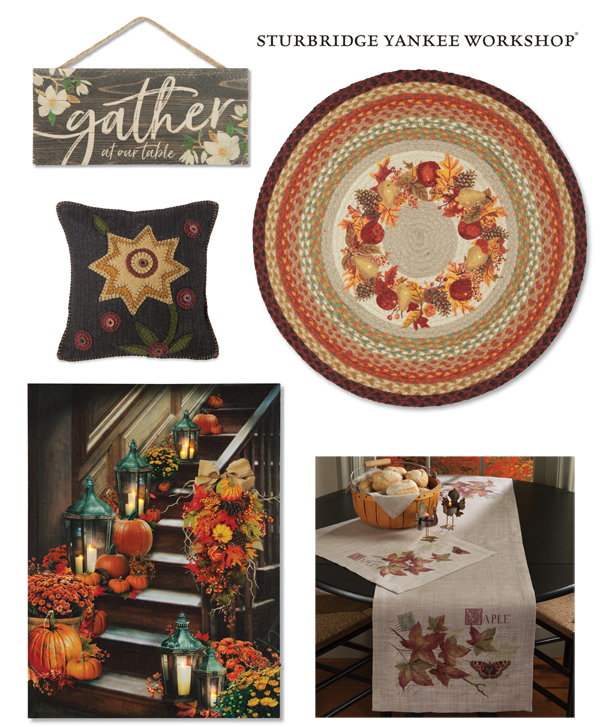 Available for Halloween, harvest, Thanksgiving, Christmas and other occasions, you can decorate with these collectibles throughout the year! Shown here: Pilgrim Soft Sculptures by artist ©Joe Spencer and our Soft Decorative Pumpkin in Rust.